I'm kicking off Friday with one of my favorite "get my hair out of my face" kinda styles. This dutch braid has taken me so far in the hair world and although it took time to practice I'm so glad I learned how! The difference between a regular braid and dutch braid is how they are weaved. A regular braid is done over with each strand and a dutch braid is under with each strand. That's what creates such a nice thick look and makes the braid so beautiful and big! 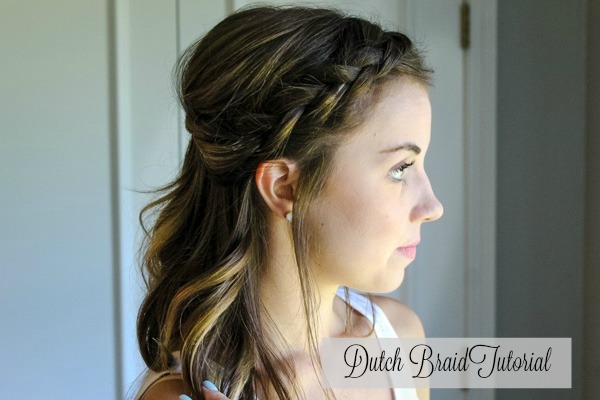 This braid is perfect for all year round!